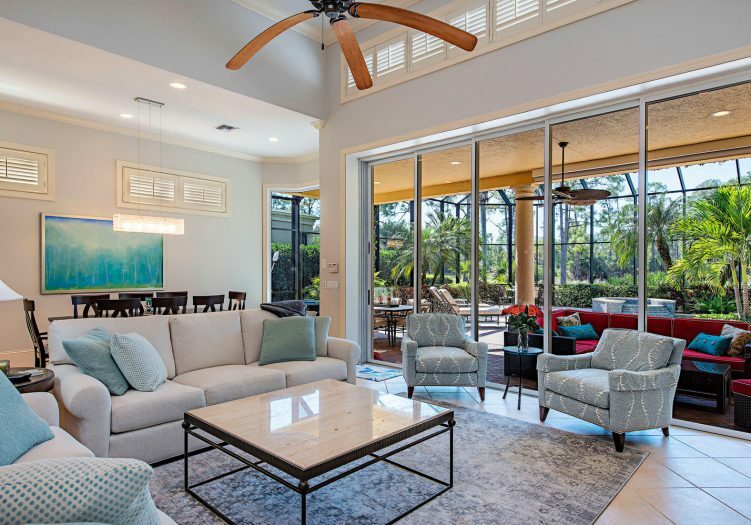 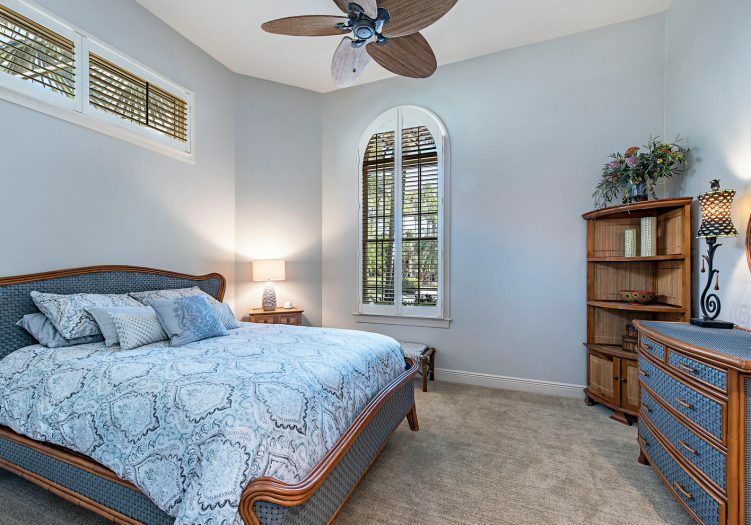 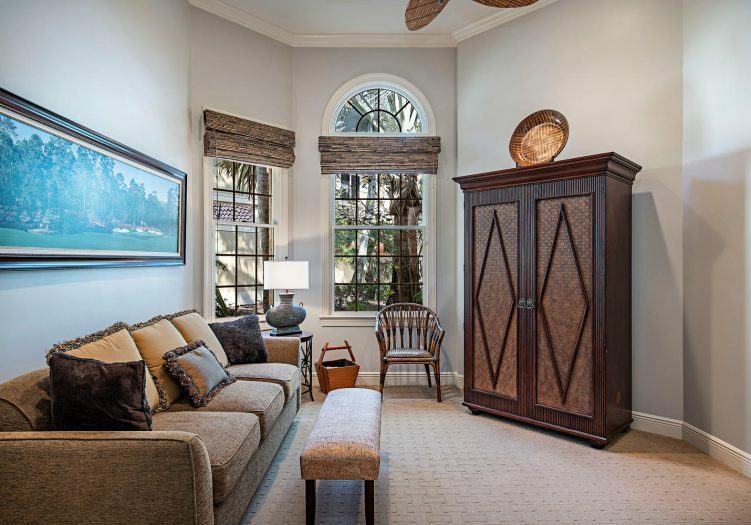 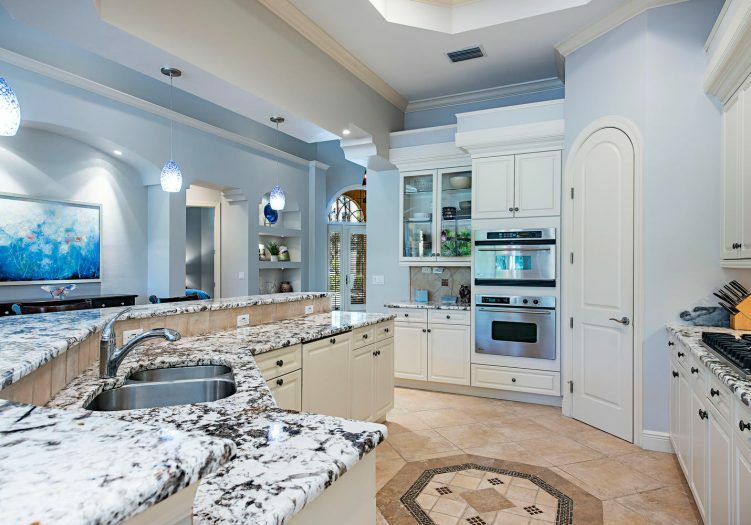 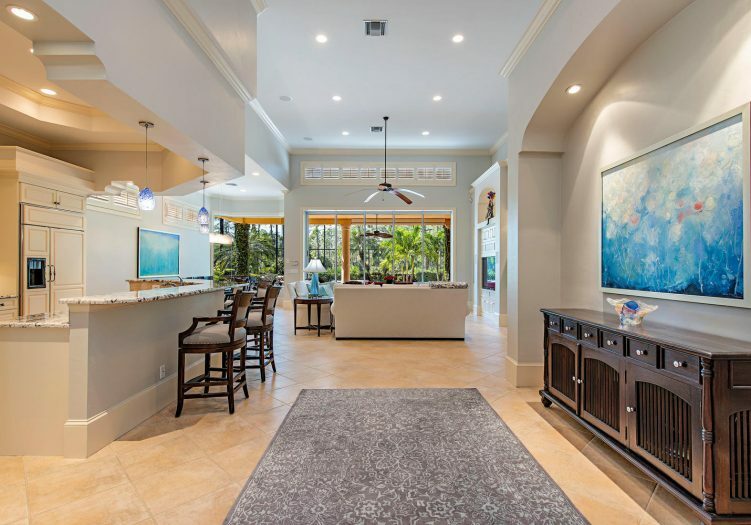 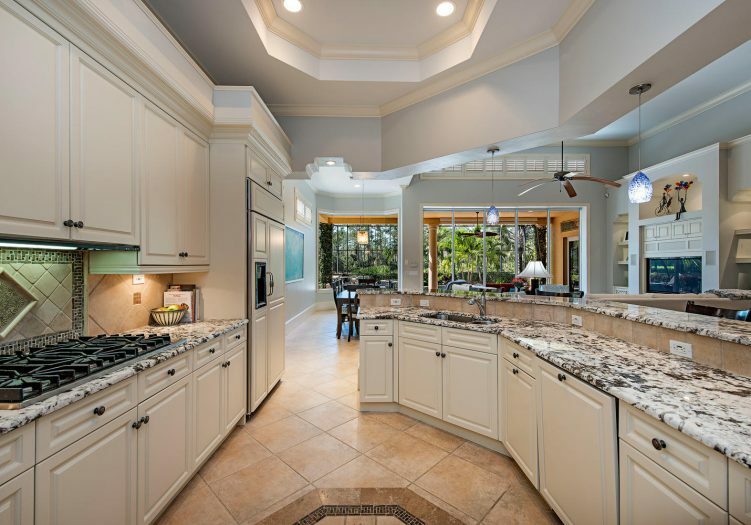 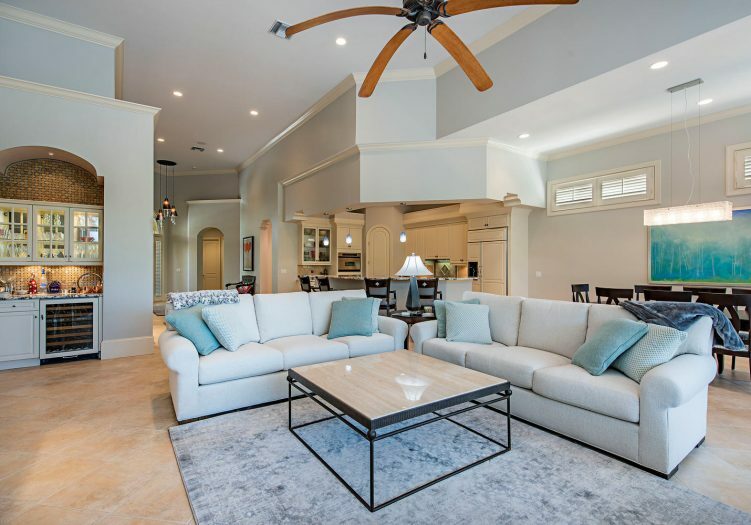 Soaring volume ceilings, built in display shelving, arched passageways, crown molding, and beautiful tile flooring laid on the diagonal accentuate the flowing open floor plan of this villa. 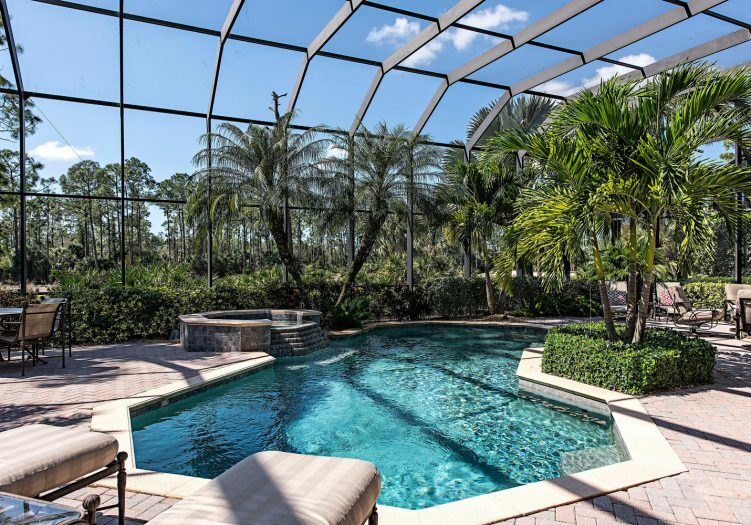 The expansive master retreat is the perfect getaway with a private sunlit seating area with sparkling pool views. 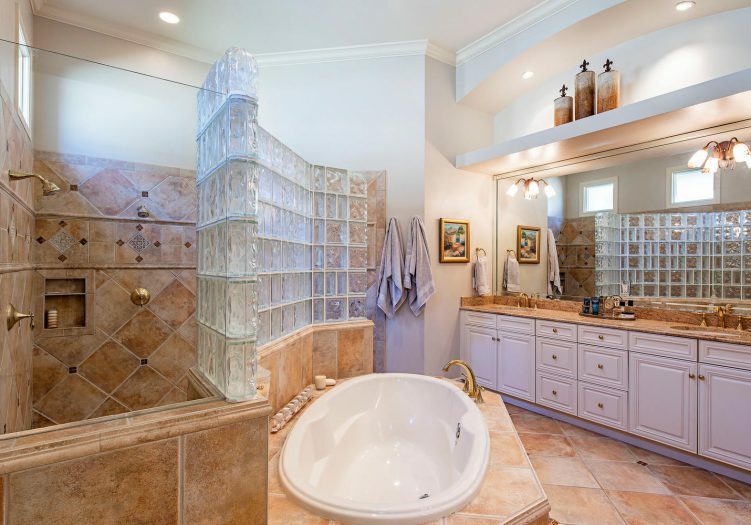 The luxurious master bath features his & hers vanities, large soaking tub and stunning walk in shower. 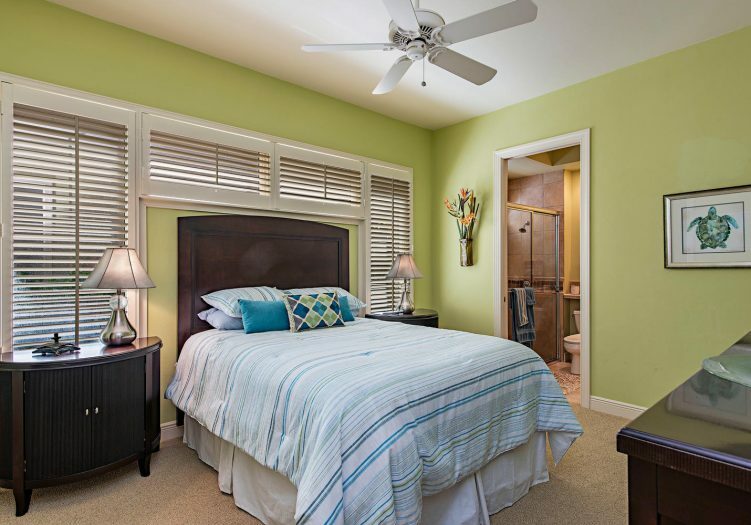 Guests will feel right at home in the private guest suite accommodations. 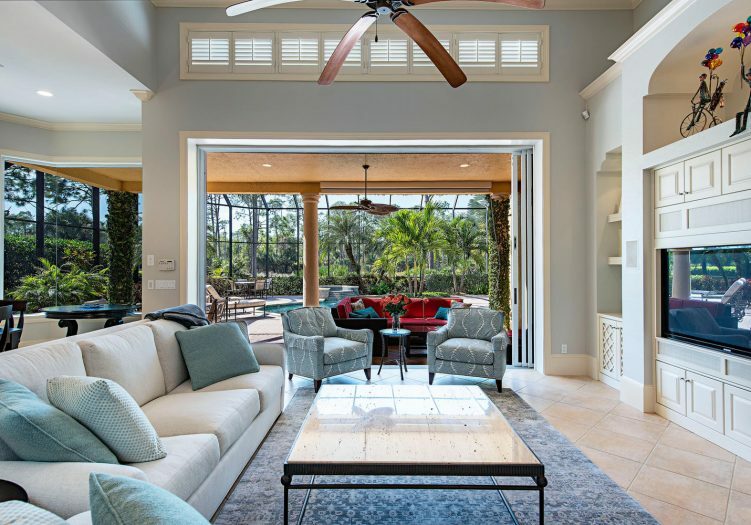 The professionally landscaped lanai extends entertaining opportunities further, allowing for the perfect retreat to relax in tropical paradise. 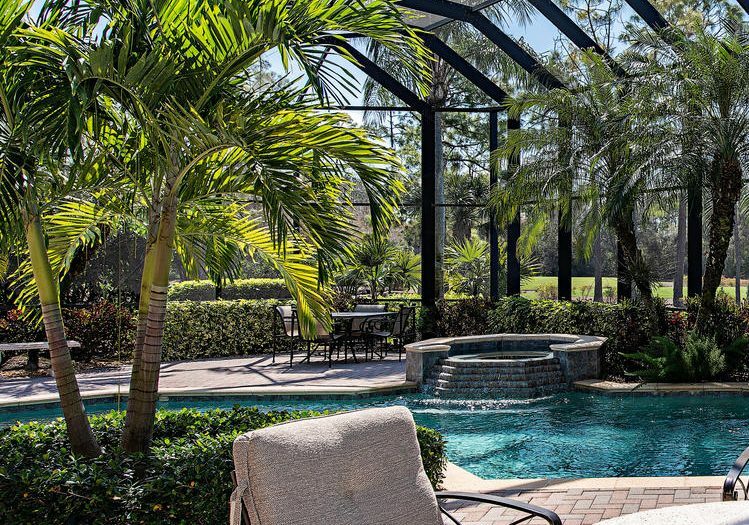 A cascading spill over spa creates a relaxing waterfall feature into the large tropical lagoon pool, surrounded by a charming fire pit, summer kitchen and multiple lounging areas punctuated by sweeping golf course views. 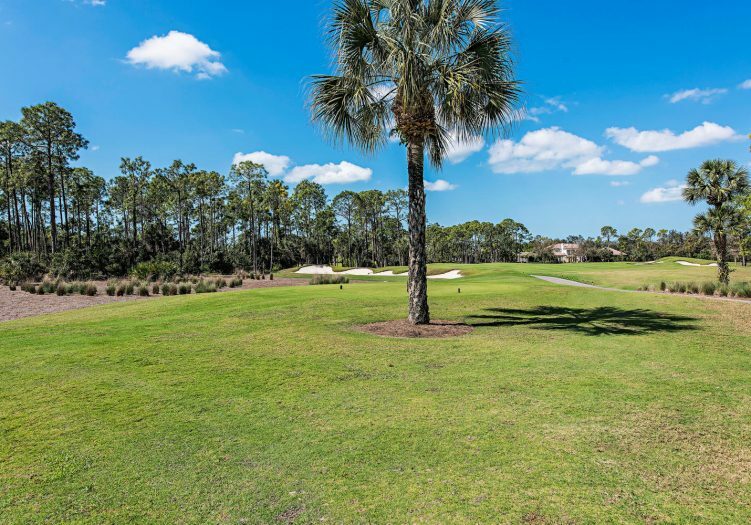 Live the maintenance free lifestyle and take advantage of all the amenities Mediterra has to offer!